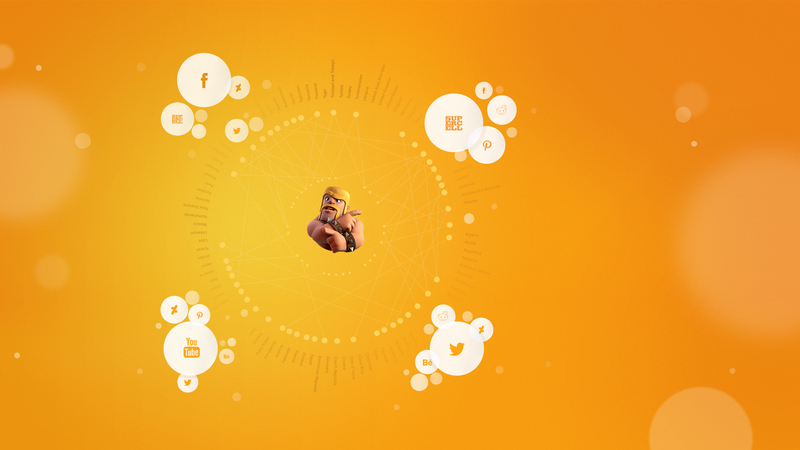 Building digital ecosystems that celebrate Supercell’s gaming community while increasing in-game engagement. How can we enhance the player experience to extend the shelf life of Supercell’s games? Product Feature: We built an exclusive channel in every game-inbox for Supercell to share updates, information and content without players ever having to leave the game. Custom Troops: We worked directly with the game’s designers to create custom character art that built on the existing game universe for their digital properties. Unprecedented Influence: Clash of Clans boasts one of the most active, vibrant and passionate communities in gaming. We dove deep into their conversations to truly understand what Clashers wanted--and created a digital hub to fit their needs. Community Conversant: Gameplay is easy to learn, but difficult to master. We designed the sites from the ground up to organize and surface relevant content to help visitors up their game. Fighting with Friends: Those who Clash together stay together, so we created a Clan Search Tool to help users find the right clan for them. Supercell is a leading mobile game developer with 100M daily active users across four top-grossing games. Like most mobile games, Supercell uses a freemium pricing strategy, earning revenue by charging for virtual goods and upgrades. While Supercell continues to be a leader in their category, they were looking to increase in-game engagement by enhancing the player experience. 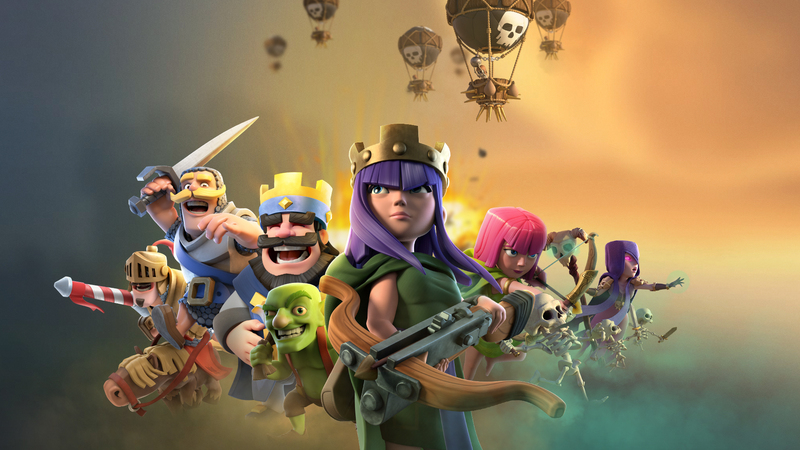 Supercell first reached out to Firstborn to support its biggest title, Clash of Clans. 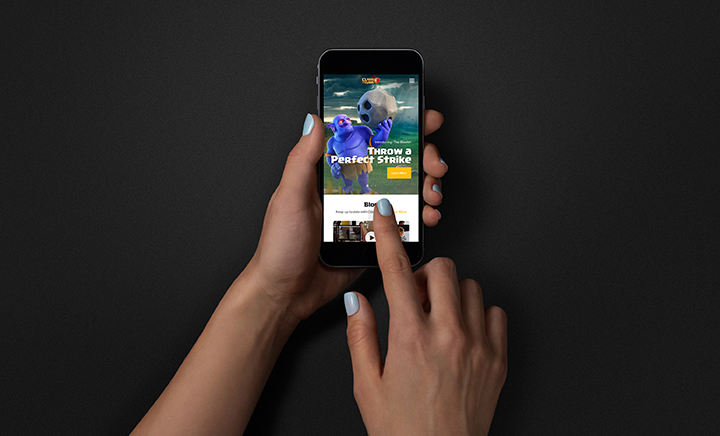 Instead of building a traditional, static gaming site focused solely on user acquisition, we created an online destination featuring content driven by Supercell’s rampant user community. The new site drove +56K downloads with a 23% conversation rate in the first month. Supercell then expanded our partnership to help launch new gaming title, Clash Royale. We created a website acting as the primary means of communication to players, keeping them engaged/informed through video and behind-the-scenes content. The game drove +$80M in revenue in its first month and became the world’s top grossing game. Royale recently took the top-grossing spot back from Pokémon Go. Next, Supercell was looking to keep players engaged within title, Boom Beach. We helped identify existing in-game friction points, curated content and strategies across all player types, and developed a business logic that maps each player’s in-game movement to deliver targeted custom content in real-time. The result? An exclusive channel in every game-inbox for Supercell to disseminate updates, information and content without players ever having to leave the game. We also rolled out this functionality to Clash Royale. 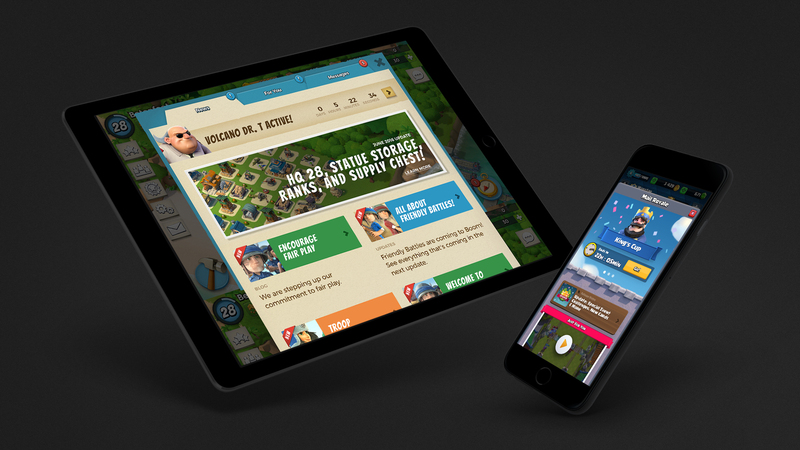 Overall our work has helped enrich the in-game experience for Supercell’s players, resulting in an increase in user-base and in-game engagement. With 55M active users, Supercell’s Clash of Clans is one of the most downloaded and highest-grossing mobile games of all time. Instead of building a traditional, static gaming site that only focuses on user acquisition, we created a dedicated online destination that delivers real value to users because the content is driven by the game’s own community. 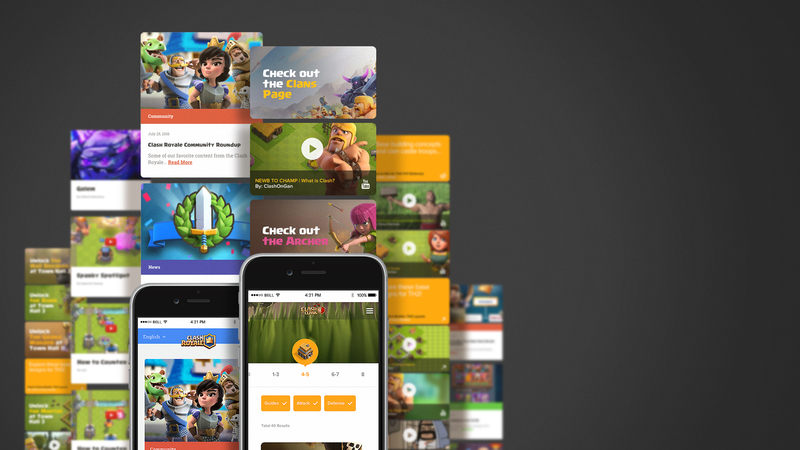 From strategy videos to fan art, the new Clash of Clans site features curated content from active and influential Clash of Clans communities that helps new and existing users play and engage with the game in new ways. 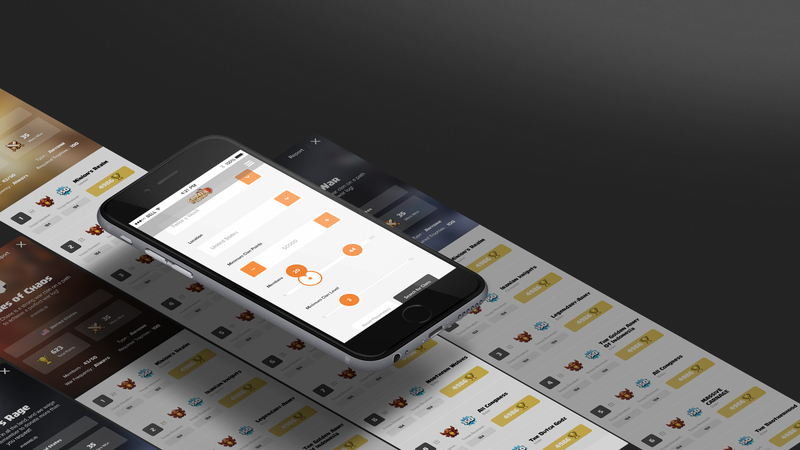 Through social listening and in-depth interviews, we developed a content strategy that solves identified pain points and barriers of entry to the game for all user segments to enable players to become the Clasher they want to be. The site is a place where new Clash of Clans players can come to quickly and easily master the basics and veteran players can expand their clans. From driving over 56,000 game downloads with a 23% conversion rate in the first month to averaging 150 daily social shares of content, the new site has already successfully served as a resource for players of all types. By giving Clash of Clans communities a voice through their own dedicated platform, Supercell is betting on its gamers coming back for more—and inspiring others to join in the adventure.